Regular check-ups and repair are crucial for driving an automobile for a long time. However, some overseas countries do not have a proper repair system, and the car owners often repair by themselves or only when the car has completely broken down. Cars today last for ten to twenty years, and their lifetime is likely to be extended further with technological innovation. Hoping that each and every car is repaired to be driven for many years, YEC seeks to contribute to the automobile society by providing high-quality products such as our FLAMMA brand ignition coils. For a long period of time, YEC has been developing, producing and selling distributor caps and rotors in the global repair parts market. But due to technological innovations, distributor caps have recently stopped to be used in automobiles. This naturally means that distributor caps are no longer needed as repair parts. What then would be our next generation product to replace distributor caps that had so far been our major product? In order to provide our loyal customers in the global repair parts market something they really needed, our answer was to develop and produce ignition coils. Overcoming numerous difficulties for not having ample experience in developing coils, we finally came out with our original, highly reliable new product “ignition coils” that we can confidently recommend to our customers. YEC has continually relied on the hallmark of “Made in Japan” for our repair parts installed in automobiles, such as distributor caps and rotors, and more recently in our ignition coils. Though China today is dubbed as the “factory of the world” for its massive production capability, many people and countries in the global market still desire to “buy Japan-made parts.” Acknowledging this, we worked to differentiate our products from others produced elsewhere, by delivering high-quality products from Japan, not only today but also in the future. 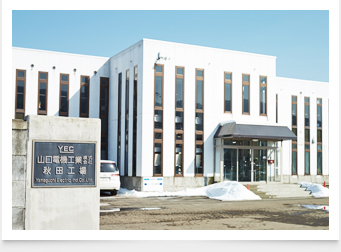 Our China plant has been producing some items other than our ignition coils for a long time, and YEC has the experience of producing both in Japan and China. Our China plant is also keen to catch up and exceed the quality of the products made in Japan. However, our factory in Japan still leads the way serving as the model for our China plant. Of course, there is the issue of basic technological training. But more important is to have things that are taken for granted at our Japanese manufacturing plant, such as the 5S, kaizen and QC circle activities in factory management, become an integral part of each worker. It takes a considerable amount of time and training for people to truly understand the philosophy of those things that underlie the production activities, and I think those are the areas where the strength of our Japanese factory lies. 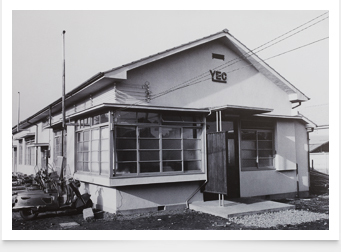 The history of YEC dates back to the year 1946. Since then, we have expanded our business according to our philosophy of delivering our original line of developed products to our customers. One such example is our switches that have been installed in many machinery including automobiles and motorbikes, as well as in construction and agricultural machinery. Increased demand for our switches in turn has allowed us to grow and expand. Another example of a product developed during the start of the company is our “Backup Alarm.” This product was developed internally as we recognized the need for giving out an alarm sound when automobiles are backing up, to warn those standing behind and secure their safety. Today, our “Backup Alarm” has grown into one of our major products boasting a high demand not only in Japan but also throughout the world. YEC entered the repair parts market instead of the OEM market, and became a specialist in the production of such repair parts as distributor caps and rotors for the ignition parts. Based on our sure technology in plastic molding nurtured over the years, we will continue to produce and deliver high-quality repair parts that rival with any brand’s genuine products throughout the world. Please look forward to our challenge of expanding our scope of businesses in the future. This will be based on our coil, plastic molding and electric component technologies nurtured in-house to develop our ignition coils, coupled by our automobile alarm system technology.